He was born one lonely summer night, deep in the deserts of Northern America, sometime in the 1970's. Prototype host to an experiment, he was the first of many test tube babies, but sadly was the only successful creation. For years scientist of the digital art community toiled and played god with genome splicing in order to create the perfect digital artist. An expert of Digital Photography, Graphic Interpretation, Visual and Artistic Communication, and other big and complex words. Shortly after birth, the scientists began a rigorous training program, involving very little sleep. After many long and arduous hours at the computer training facility, Viro was profoundly adept at all manner of digital art. This training has left unfortunate side effects, however, as now even in his sleep, he trains in a 3D Environment, often twitching involuntarily. At age 4, the US government cut funding to the project, and Viro was abandoned in the desert as he watched his home be torn asunder by bulldozers. After almost a year of frightened wandering in the desert, using only the rigging procedures he had learned in training to build a shelter, he was adopted by a family of artistic desert sasquatch. By age 8, the Sasquatch had taught him how to draw, mostly airplanes and cars. He attended art and drawing programs throughout Sasquatch Jr. High and High school. After years of being able to focus on the core aspects of drawing and using nature as an influence, he became interested in street art and graffiti, the likes of which he had seen on raids he had done with his sasquatch family for food, or just to mess with the local villagers. At 18, he attended Sasquatch High school and bid his farewell to his family, as he knew he had to seek greater meaning in life. He stowed away on a plane full of snake meat to be used in fast food chain hamburgers bound for the U.S. After several years of train riding, hitch hiking, and tagging the train cars and buildings in every major city in the U.S., he realized that a college education was just what he needed to move up in the world. He attended Salt Lake Community College In 1998 and won an award of excellence in the student show for an abstract charcoal drawing. This is where he discovered the joys of graphics software such as 3D Studio Max and Photoshop. He also traveled to France and Ireland to study the works of masters like Leonardo, Donatello, Michelangelo, and Rafael. After leaving the Community college, he went on to earn a Bachelor’s degree in Digital Design and began working for C.R. England, a national trucking company in Salt Lake. At C.R. England he was responsible for creating print materials, motion video and computer animation for their training materials. Seeking greater social interaction than mere late nights on CG forums, and becoming as increasingly lonely as the truckers he worked for, in 2007 he moved on to The Training Authorities so that he could do strictly 3D work on huge mining machines. In November 2007 he was promoted to lead 3D artist, a far cry from shelter rigging and snake texture baking in the jungle he was once accustomed to. While lead artist his team won 3 communicator awards for 3D graphics. At TTA he used his extensive knowledge in mechanical rigging, managing and setting up a production pipeline and rendering using 3DS MAX and Mental Ray. Becoming increasingly interested in science and medicine he moved on to Infuse Medical in 2009. In 2013 he was promoted to Technical Director. As Technical Director he’s responsible for looking after any technical problems the 3D team encounters and developing custom tools to improve their workflow as well as managing and maintaining the computers of the 3D team and render farm. This image was inspired by a video from Science Friday. I used mental ray shaders like glare, HDR Motion Blur and bokeh depth of field and Combine them with some of my maxscript tools and composited it in After Effects. 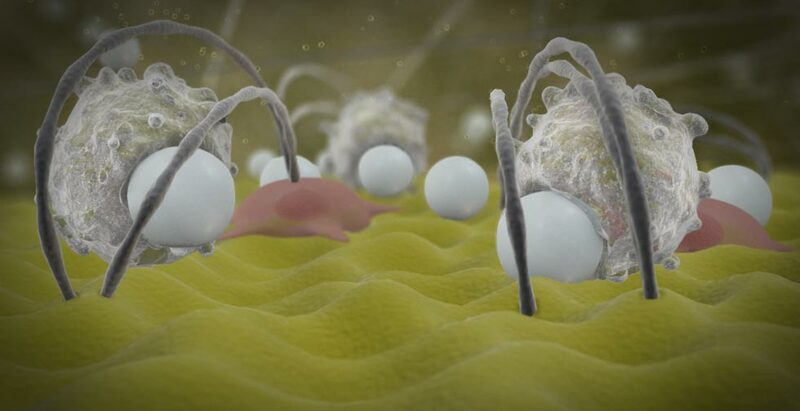 A small clip from an animation I did depicting macrophage breaking down calcium micro spheres in the skin. 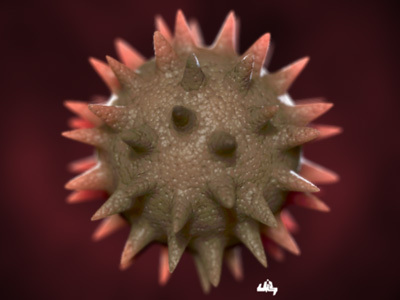 The macrophage were modeled in zbrush. Animation was done in 3Ds Max using Pflow and rendered with Mentalray. This images depicts polyethylene glycol being used to seal a incision on a lung at a micro level. Zbrush was used to sculpt some more interesting shapes for the chemical chains. I render the main image with Iray and additional passes with mental ray. I comped it all in After effects. 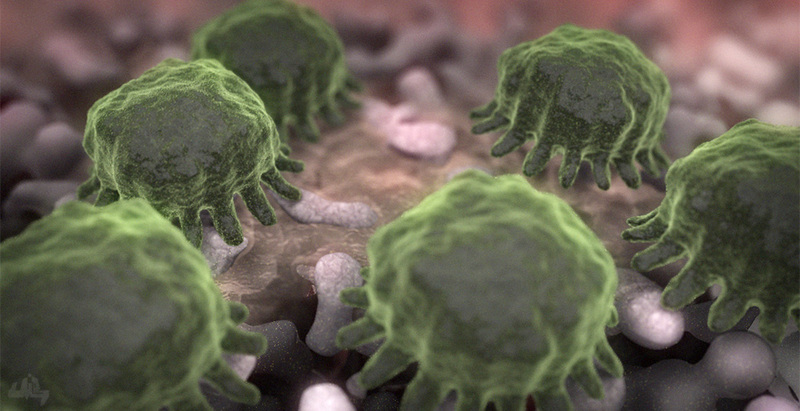 Developed to show how the clients antimicrobial surface works on a microscopic scale. Modeling done in Zbrush, rendered with mental ray, Comped in After Effects. The exploding H1N1 was created using a cloth and physics sim. 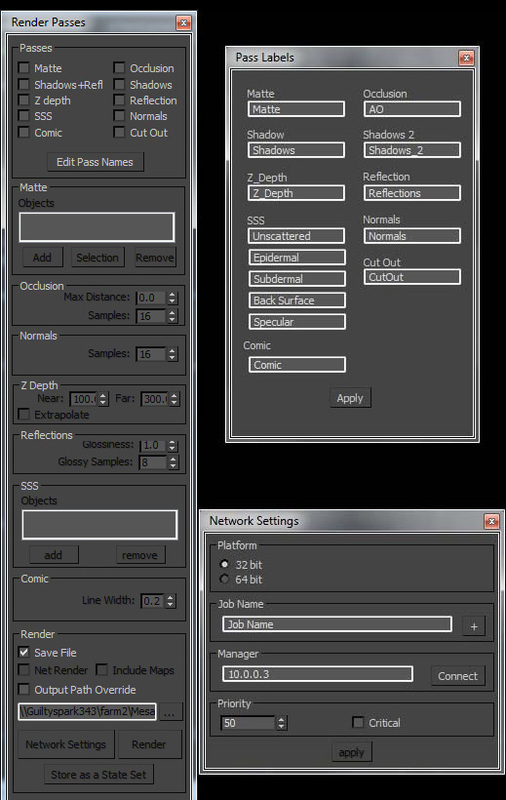 The animation was done with Particle flow in 3ds Max. 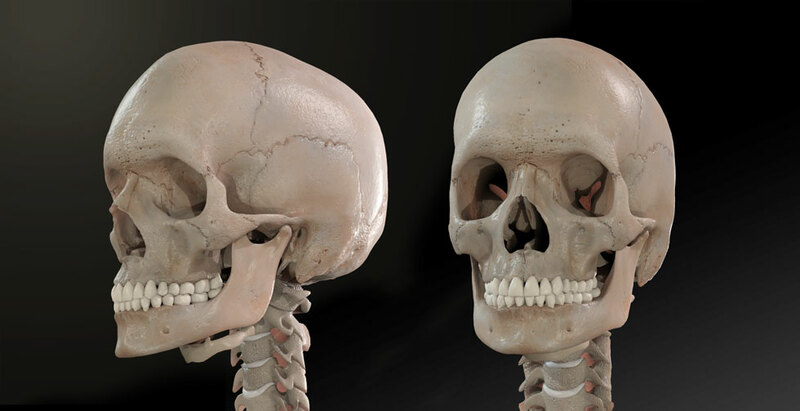 A couple of shots of the bones from an anatomy app I worked on. I was responsible for the shader, lighting and rendering. The model and texture map were already done by someone else. 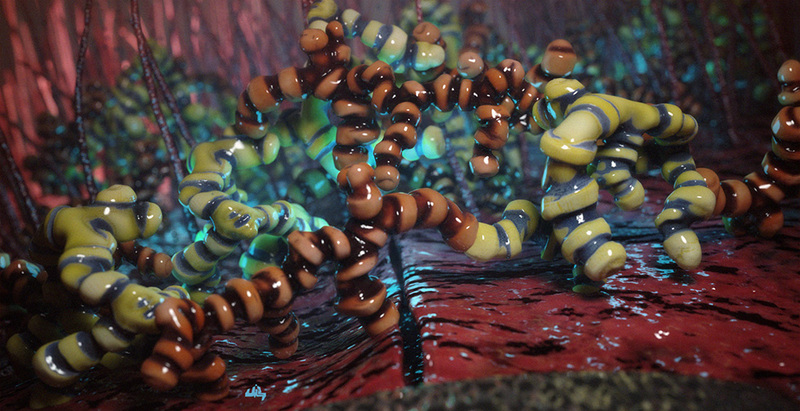 This animation illustrates microscopic bone and vasculature growth on a titanium microstructure. The structure was created by converting hair and fur in 3Ds Max into splines. Then I used blob mesh to coat the splines with geometry. A few particles were used to get a little extra randomness in the thickness of the shape. The veins were created with the Ivy Generator plugin. MSC cells that have differentiated into osteoblasts synthesizing bone on a synthetic microstructure. Osteoblast were sculpted in Zbrush. The microstructure was created using Hair, Pflow and blob mesh in 3s max. It was render with Mentalray and composited in After Effects. This image illustrates signals traveling along neurons in the brain. The neurons where modeled in 3Ds Max and posed by using skin, some splines and Spline IK control. I used my render passes Maxscript and Mentalray to render the different passes and then composited them in After Effects. Using a device to expand the size of the Duodenum. 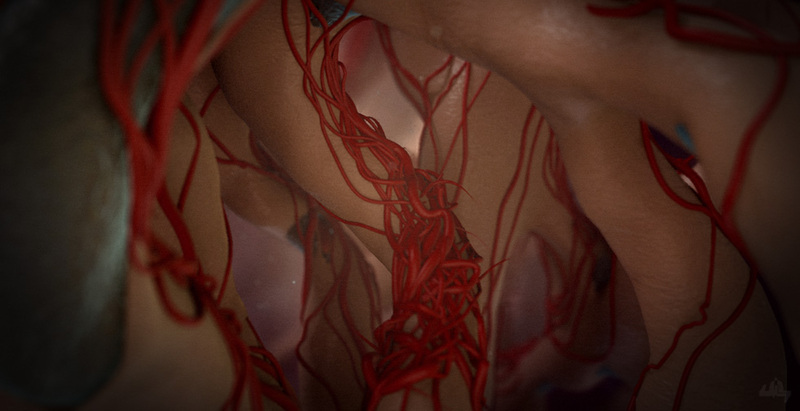 Anatomy was modeled and textured in Zbrush. Rendered with mental ray camped with After effects animated in 3ds Max. Relistic rotation renders for a trade show display. Animation showing how to do a bronchoscopy and biopsy with client’s devices. Done with 3Ds max and After Effects. Animation showing a biopsy being performed in the lung. Demonstrating the clients forceps tool. Shoulder plate installation animation done with 3Ds Max and After Effects. Demonstrating client’s kidney stone crushing device. 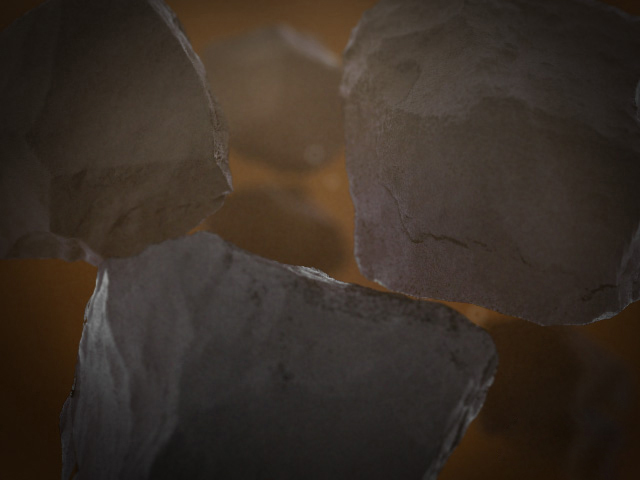 A Mass Fx physics sim was used for the stone crushing animation. Done with 3Ds Max, Mass Fx and After effects. 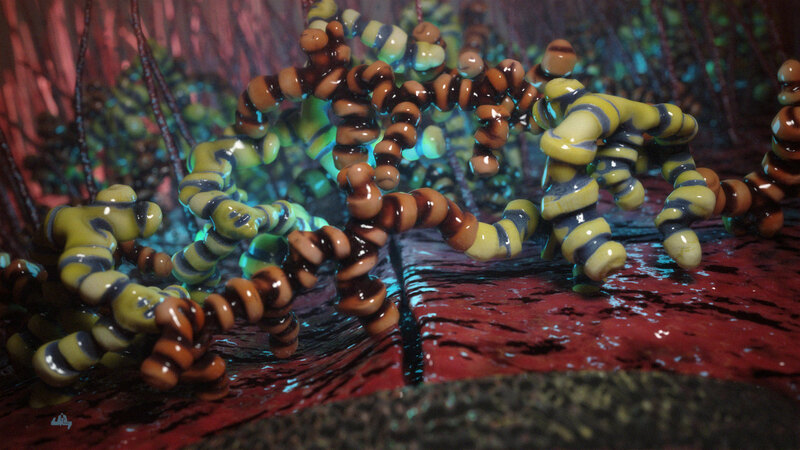 Animation to explain Illumina’s DNA sequencing process. Was done with PFlow in 3ds max and After Effects. This model was sculpted and textured in Zbrush. I used FiberMesh to add the Hair follicles. The intent was to simply show the epidermis, dermis, subdermis and Subcutaneous fat layers of the skin without complicating the visual by including all the extra anatomy. 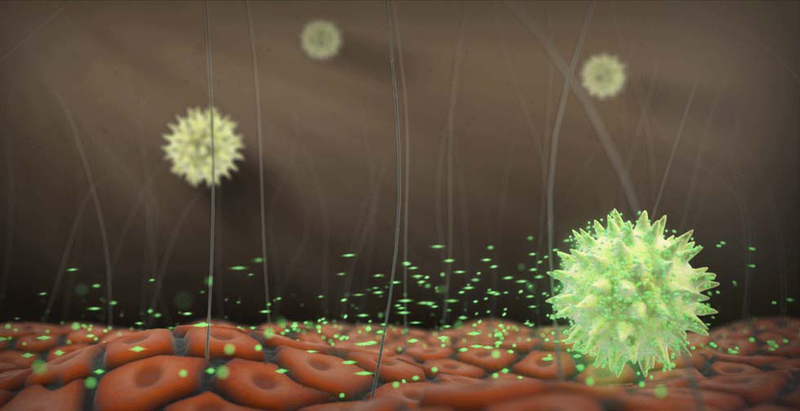 Zooming in on a Microscopic view of bone graft particles floating in a gel like carrier. Grains where created using maxscript and retopoed in zbrush. The liquid was done using a zdpeth pass and after effects. I created this little guy while testing the new zmodeler brush in Zbrush R7. I brought it into Substance Painter for texturing. The image is actually a screen grab taken from the substance painter viewport. This is a prop I made for a VR Demo. I used Zmodeler and substance painter to create it. I modeled this for use in a VR demo. It was used to slice into the inner workings of a beating heart model. The idea was to make it look and feel somewhat similar to a lightsaber. It was made using Zmodeler and substance painter. 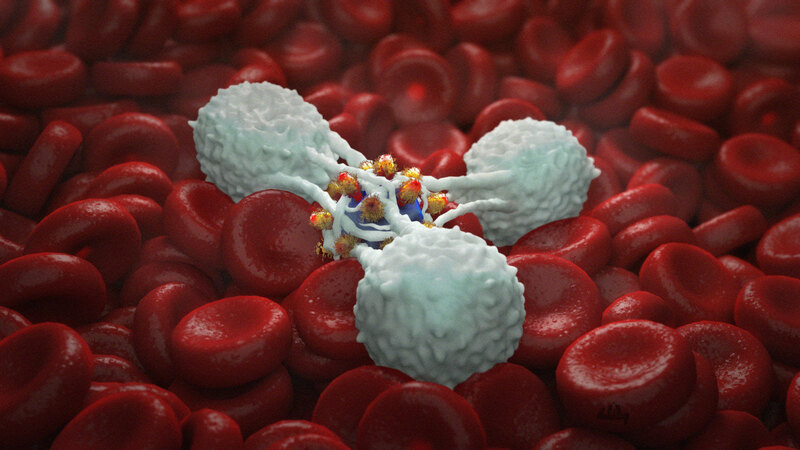 This was modeled for my antimocrobial animation. Created using Zbrush and Substance painter. I’ve been playing a lot of destiny lately and was inspired by all the Armour elements in it. I sculpted the helmet in Zbrush using Dynamesh and panel loops. All the texturing was done in substance painter. Just modeling some furniture for fun. This was my final assigment from a maxscripting course on cgsociety. 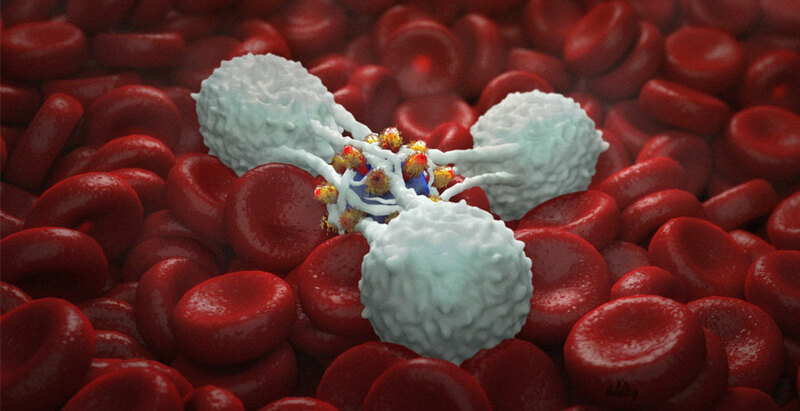 It allows you to generate a red blood cell, virus or bacteria. It will also generate a group of them in random positions. It installs as a macroscript under the mikes scripts category. 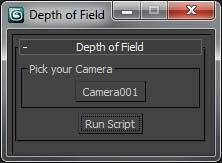 Simple script that links a free camera of your choice to a hierarchy of dummy objects. 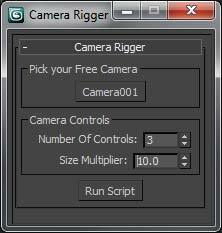 I saw this little rigging example on a max tricks session at siggraph and I thought it would be good thing to script. 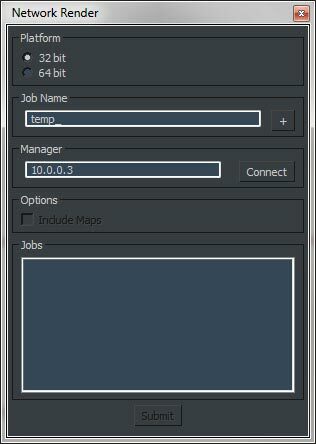 Simplified dialog to submit jobs to backbuner. If you find any of my scripts useful or if you are using them in commercial work consider a donation.